is made exclusively from natural ingredients, and unlike some other flavored vodkas, it doesn’t contain any added sugar. Absolut Peppar is hot and spicy and has a distinct character of green bell, chili and jalapeño pepper. 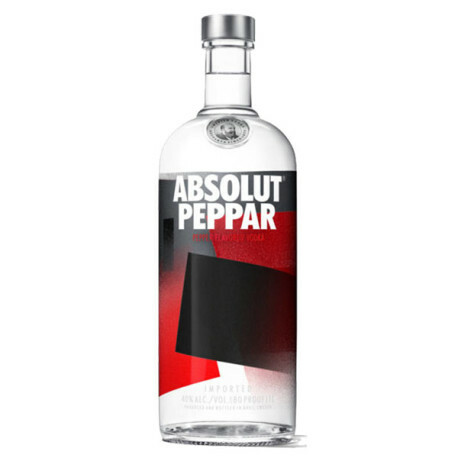 Absolut Peppar was launched in 1986, seven years after Absolut Vodka. Besides being the first flavored vodka in the family, it was also the first flavored vodka in the world. So why pepper? Since vodka and pepper is the main ingredients in a Bloody Mary, it seemed like a good idea to make things easier for the many Bloody Mary bars popping up in Boston, New York and elsewhere at the time. The idea soon turned out as intended, both for bartenders who could now make Instant Bloody Marys, and for all the fans of the drink.